All classes are held in the 2nd floor aerobics studio of Bellefield Hall, University of Pittsburgh. Our new logo. The design–Antonio Mercuri. Beginning in August, we’ve decided to integrate our children’s and adults capoeira programs, and hold just one Saturday class for both kids and adults. This class will be twice as long as the current kids class and will include training in music, dances like maculele and samba, and acrobatics. Since the beginning of the summer, the enrollment in our kids’ program has been down. I think the best way to stimulate our children to learn capoeira will be to integrate them into the adults program and give them the chance to work with more advanced capoeiristas. These classes will be structured in a similar way as they currently are (ie., very beginner-friendly), but kids will have more opportunities to work in partners and to learn to play musical instruments, sing songs, and practice dances. So, beginning on Saturday, August 3, classes will meet every Saturday from 3-5pm at BYS Yoga. Our final regular children’s class will take place on Saturday, July 13 from 2:30-3:30. Please note that, on July 20, we’ll have a special event to which you are invited (see below), and on Saturday, July 27, class has been cancelled because our teachers are out of town. Both children and adults are invited to a special class, open roda, and capoeira demonstration on July 20 from 3:30-5pm at BYS Yoga. You are welcome to attend this event whether or not you train capoeira! 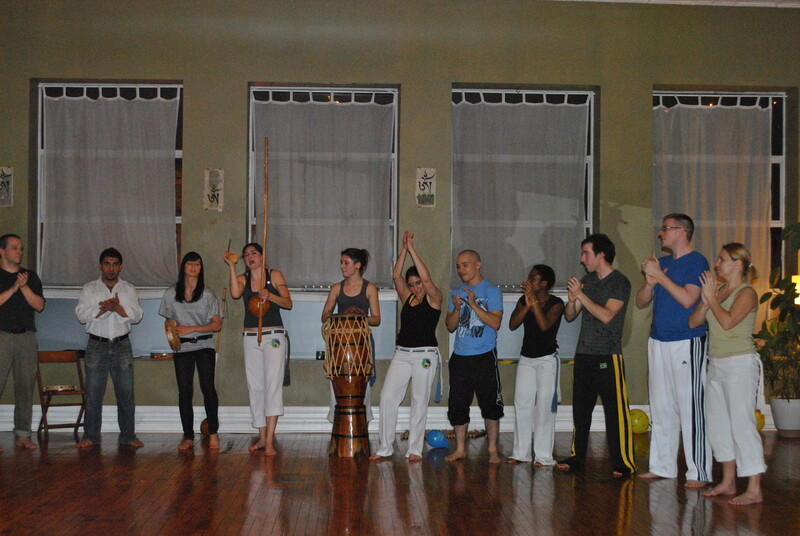 We’ll practice music, sing songs, play capoeira, and celebrate another year of training in Pittsburgh. Join us! Announcement: Latin American & Caribbean Festival! This Saturday, March 23, Unção Capoeira Pittsburgh is performing at the Latin American and Caribbean Festival at Pitt!! The festival is a super-fun event full of tasty Latin American food and a range of dances and musical performances. Look for us in the Brazilian block of performers; we’ll probably go on around 5pm. The festival takes place this year on the ground floor of Posvar Hall on Bigelow Blvd in Oakland. Due to the performance, regular kids and adult classes are cancelled on Saturday. Adult performers should meet at BYS at 2:30pm to rehearse. We will then go from BYS directly to Posvar Hall for the show. Kids, look for us between 430-5pm at Posvar. Hope to see you there! Axé! Start your child’s new year off right–with capoeira! Please enjoy the following guest post by capoeira student Adam “Pirata” Rothrock, on the structure and advantages of capoeira for kids. “If school isn’t maximizing your child’s boundless energy, or they’re in need of a more involved outlet for their creativity, capoeira is an excellent resource that can stay with them their whole lives. Join Graduada Tasha with Grupo Unçao Capoeira for Kids’ Class, Saturdays at 2:30 pm at Breathe Yoga Studio on East Carson St. in Pittsburgh’s Southside. As a martial art, a dance, and, most importantly, a game, youths learn kicks, dodges, and simple acrobatics based around the cartwheel. They’ll learn to sing songs in Brazilian Portuguese, as well as get acquainted with the traditional musical instruments of capoeira. Don’t forget the self-discipline of structured learning and the etiquette of play! Class begins with the standard formal greeting, “Salve!” while taking a step in “ginga”, the foundation of the dynamic movements. Next comes the warm-up: typically running in place, jumping jacks, and high-knees. After this we stretch and shake it out. Now for the agilities! Kids are welcome to practice a handstand, a low step used to dodge, or a moving “role” (pr: ho-LAY) used to sidle around a playing partner, for example, all demoed by Graduada Tasha–sometimes with an adult capoeira student helper. The adult class is right afterwards at 3:30 pm, so it’s extra practice for them, too! Feel free to stick around for it if your child’s not too tired. After drills across the floor, Graduada Tasha teaches kicks, where kids’ developing sense of balance really gets activated. Depending on height, students learn to sweep kicks over yoga blocks stacked in front of them. Once we’ve done our pushups (don’t worry: we start at just five), we combine the travelling moves with escapes and kicks. It all leads up to the “roda” (pr: HO-da), the circular game where children play the instructor and fellow students, each taking time to appreciate the back-and-forth, conversational aspects of capoeira. They learn to follow the traditions of clapping and singing when not in the center with a partner, and the best way to “buy into” the game, not to mention being “bought out”. After roda, Graduada Tasha teaches the form for playing the atabaque and pandeiro–a drum and tambourine–as well as the lyrics to capoeira songs. Class ends the way it starts: “Salve!” We then clap for yet another successful class, happy to be learning every day, every week, our whole life! 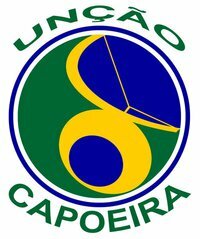 Feliz ano novo from everyone at Unção Capoeira Pittsburgh! May the new year bring you much peace & happiness. Axé! We are currently on winter recess; capoeira classes will resume on Wednesday, January 9. Beginning that day, classes will meet on Mondays & Wednesdays at 7:30pm at Bellefield Hall, and on Saturdays at 3:30 at BYS on the South Side (2:30pm for kids). Please email capoeirapittsburgh@gmail.com with any questions. Make a new year’s resolution to train hard in 2013! Hope to see you there! Monday & Wednesday 6:30-8:30pm, Bellefield Hall Aerobics Studio (University of Pittsburgh campus). Saturday 3:30-5pm, BYS Yoga (South Side). Kids: Saturday 2:30-3:30, BYS Yoga. All classes are open to both students & non-students. Cost is $12 per class, or $65 per month ($40 per month for kids). For additional information, please email capoeirapittsburgh@gmail.com. Reminder: New capoeira class for kids! Oi, current & aspiring capoeiristas! Don’t forget that a new capoeira class designed especially for kids is currently in session! Capoeira is an excellent way for your child to learn bodily (and musical!) coordination as well as discipline and respect in a fun-filled, welcoming environment. Class meets from 2:30-3:30pm at BYS Yoga in the South Side, and the cost is $12 each class or $40 per month. Kids should wear comfortable exercise clothing, preferably white, and pants rather than shorts. (Don’t worry if your child does not have an exercise outfit that sounds like this on the very first or second class that you attend–you are welcome to try the class out a few times first.) Kids & adults alike train barefoot. Parents/guardians will need to sign a release form for your child at the first class. Kids ages 5 and up–and very active 4 year-olds–are welcome, so bring your children, nieces, nephews, grandkids, and neighbors! Hope to see you there! Classes meet Tuesdays at 7:30-9:15pm and Saturdays 12:00-1:45pm in the 2nd floor aerobics studio of Bellefield Hall on the University of Pittsburgh campus. (Saturday classes are open to children over age 5.) Classes are open to students of all skill levels and abilities. Email capoeirapittsburgh@gmail.com for more info! Learn more Select Category About Capoeira Pittsburgh Announcements Capoeira Pittsburgh in the community Information about classes Kids Media Past performances & events Uncategorized Upcoming events What is capoeira?